With 80% of internet users owing a cell phone and 51% of all digital ad budgets spent on mobile, it’s time for business owners to heavily invest in mobile marketing. It is a technique used to promote your business to appeal to mobile device users. 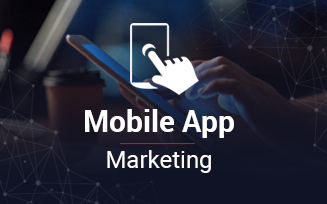 When done correctly, it offers potential customers using smartphones with personalized and location specific content, so that the visitors get what they want exactly even on the go.Brands today are investing a lot to develop a mobile marketing strategy because without that they would be losing great business opportunities every second. When reach is a prime concern, mobile marketing is everything you need. How mobile marketing helps in business growth? Target a wider market base and help to expand the business irrespective of its location. Help business organizations promote their services or products and boost more sales. Create strategies for monetizing your mobile app and implement it to generate more business revenues than ever.